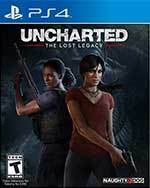 In order to recover a fabled ancient Indian artifact and keep it out of the hands of a ruthless war profiteer, Chloe must enlist the aid of renowned mercenary Nadine Ross (from UNCHARTED 4: A Thief's End). Venturing deep into India’s Western Ghats mountain range, Chloe and Nadine must learn to work together to unearth the artifact and fight their way through fierce opposition to prevent the region from falling into chaos. Uncharted: The Lost Legacy embraces what the series has become so renowned for: placing real, relatable people in impossible situations that force them to come out better and stronger on the other side or not come out at all. Uncharted: Lost Legacy is another Uncharted game, for better or worse. I loved its length and characters. I would love to see more spin-offs now that Nathan Drake’s journey has come to an end. I feel like we don’t get enough of these action adventure style titles and am always up for another one. I might say we don’t need another Uncharted game once again, but if the series returns, you know I will be first in line to eat my words. Uncharted: The Lost Legacy is another fantastic entry into the series, taking quite a bit of what made every other entry stand out and condensing it all into one seven hour package. While the open world may ultimately be a letdown, it’s more than made up for by everything else here. Intense combat, wonderful character development, smart puzzles, and an impressive visual package does more than enough to make it worth finding this legacy. Uncharted: The Lost Legacy is a fun addition to the consistently solid Uncharted franchise. While this entry may be quite a bit shorter than the main numbered games, that doesn’t mean the key components that constitute an Uncharted game aren’t just as present. I sincerely went into The Lost Legacy feeling like there wasn't much an Uncharted game could do at this point to surprise or impress me, but its tight pacing, likable characters and creative scenarios really won me over and added up to one of my favorite games in the series. The Lost Legacy doesn't signify a new era for Uncharted so much as it presents an opportunity to show the series from new perspectives, for which Chloe and the AI-controlled Nadine are perfectly capable. With a new playable treasure hunter comes new settings and character motivations, wrapped in a comfortingly familiar Uncharted package. The Lost Legacy is proof that there's still life in Uncharted, though it'll need to break out of it's own formula a bit in the future. Chloe and Nadine could do that for the series. You just have to let them. Uncharted: The Lost Legacy is a genuinely brilliant addition to the series. Naughty Dog has, again, crafted a nimble little action-adventure game worthy of the Uncharted name and one of the series' best. Chloe Frazer deserves her own full-on game down the road. Uncharted: Frazer's Fortune, perhaps? Yes please. There was some doubt that Uncharted could continue without Nathan Drake, but The Lost Legacy proves the series can march on with another lead role. I loved the previous titles in the series, and although this new one can miss the mark at times, it's a beautiful treasure hunting romp that brings back that same Uncharted feeling. The Lost Legacy is a worthy expansion for Uncharted 4. Naughty Dog pushes right up to its own high bar in terms of story telling, visuals and gameplay design. So long as you aren't expecting an adventure of the size and scope of the base game, it'll be hard to leave disappointed. While the action sequences might feel like old hat, there’s no denying that Chloe and Nadine’s very personal adventure will go down as one of Uncharted’s best. I went into Uncharted: The Lost Legacy expecting a light stand-alone adventure, but it turns out to serve a much greater purpose. Despite the new protagonist, this game serves as a celebration of everything the Uncharted series has come to represent over a decade of mostly strong releases from Naughty Dog. And because of the new protagonist, it also offers a glimpse into what the franchise could become in the future, with some new developer leading the way. Uncharted: The Lost Legacy doesn't reinvent the series. It takes one idea, the open-world area from Uncharted 4, and expands on it. Otherwise, this is an Uncharted game from top to bottom, with all the action and adventure that entails. Nathan Drake and Sully may be gone, but Chloe Frazier and Nadine Ross are more than able to fill their shoes. Given just how fully featured this adventure is, Lost Legacy could have easily been Uncharted 5. Where Naughty Dog goes next is anyone’s guess, but I would love to see Chloe and Nadine return for another hunt, as they’re every bit as engaging as the Drake family. They make a hell of a team. Uncharted: The Lost Legacy, then, is unsurprisingly another fantastic game from Naughty Dog, a developer whose pedigree only seems to grow stronger with each title. My scepticism over the lack of Nathan Drake was quickly proved wrong, as Chloe and Nadine make fantastic protagonists and a refreshing change to the series. Uncharted: The Lost Legacy honors its parentage with engaging characters and exotic landscapes, setting the stage for more of the best action gameplay out there. It’s much of the same, but that’s OK when “the same” is this good. The Uncharted series may have moved away from our old pal Drake, but that isn’t necessarily a bad thing. Uncharted: The Lost Legacy is as beautiful as ever, and its storyline is just as captivating as you would expect. In fact, the arch, peaks, and valley, in terms of its plot, are unmatched in the current landscape. Perhaps its my love for these stories or it just might be that this game could end up being one underrated gem. Uncharted: The Lost Legacy had a lot to live up to given the pedigree of the franchise to this point. Being the coda of sorts for the series also stacked the deck against Lost Legacy a bit, but Naughty Dog has delivered another impeccable game that stands among the best in its library. Lost Legacy takes all of the positives of the series and combines them with protagonists that bring a fresh take on adventure to the series. Uncharted The Lost Legacy may feel too similar to Uncharted 4 at times but that doesn't make it a bad game at all. 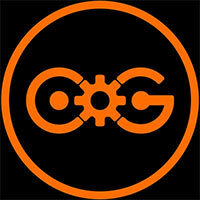 There is great value of money here with its ten hour long campaign and comprehensive multiplayer modes. Uncharted: The Lost Legacy makes for a fun but brief journey while still boasting the same level of high quality that we have seen in past entries. While I would’ve loved to see more original content in this standalone journey, The Lost Legacy at the very least proves that the Uncharted franchise can still provide us with countless other adventures with Nathan Drake out of the picture. 15 months out from Uncharted 4: A Thief's End's release, Naughty Dog is still king of the action adventure jungle. This new angle on the Uncharted formula, which stars Chloe in a pristine mountain range of India, is often captivating, even though it follows many of the same set of standards that were unearthed a decade ago by Uncharted: Drake's Fortune. Bottom line; this is real Uncharted. It may not have been written and directed by Neil Druckmann, but it bears his fingerprints. After this first step in a new, Nathan Drake-less direction, I’m eager to see where Naughty Dog takes us next. Despite the absence of Nathan Drake, this is still very much an Uncharted game, and it hasn’t lost a beat. From a gameplay perspective, it doesn’t do much to revolutionize the Uncharted series, but perhaps it doesn’t have to. With The Lost Legacy, Naughty Dog has accomplished something much bigger: successfully carrying on the torch from Nathan Drake. This sensational spin-off not only beds in two of the franchise’s more mysterious characters, but it also gloriously repurposes several of the series’ best moments. As a pseudo-Greatest Hits, the title will do little to tempt those who’ve had their fill of treasure hunting – but at a budget price (with multiplayer included) then this is essential for fans of PlayStation’s most iconic brand. All that said, it’s unfair to have expected Lost Legacy to bring major gameplay changes given that it’s essentially an extension of Uncharted 4, and while it doesn’t deliver anything you haven’t seen before, it’s still beautiful to behold. Add to that Naughty Dog’s customarily superb storytelling and character development, excellent performances from both leads and copious amounts of action, you’d be foolish not to grab Lost Legacy, especially considering the bargain price. Forget Nathan Drake and Chloe Fraser, if you managed to bag The Lost Legacy as part of Uncharted 4’s season pass then you’re the real thief here. There’s a staggering wealth of content to explore, the quality of which is easily on par with A Thief’s End. The stakes may not be as high, but it’s impossible not build a connection with Chloe and Nadine or revel in the set piece action and story surprises. As far as standalone expansions go, they don’t get more epic than this. All told, then, Uncharted: The Lost Legacy is a fine addition to the series. Nadine and Chloe have proven themselves more than capable of picking up the reins from Nathan Drake, and the ease with which Naughty Dog made this transition points to a promising future for the series, where different characters and settings can be explored and more stories can be told. Whether Chloe and friends get another shot after this excellent leading debut or Naughty Dog deigns to throw more characters into the spotlight is kind of irrelevant at this point, though – this is proof positive that it’s possible to retire a PlayStation icon while having their legacy live on. Taking the better aspects of classic and modern Uncharted, The Lost Legacy is a short, explosive chunk of adventure. Chloe and Nadine are elevated far beyond the supporting roles they once played, and both end up as interesting, formidable, and highly likeable characters, among the best in the series in fact. There’s a greatest hits feel to some of the set piece moments, and the story takes a little time to get going, but this manages to be both a fresh direction for the franchise, and a warmly familiar experience. The Lost Legacy eases off the set-pieces and globe-trotting, to its detriment. However, the heartiest of Uncharted's staples – its characters, camaraderie, and cutscenes – are here in abundance, and overall it's an extremely capable action title. For what it’s worth, I loved playing the game. I felt let down and disappointed with my major gripe riddled throughout this review, but every other facet of the game is a triumph. And so at the end of the day it boils down to where you stand on design progression, and on modern day humanised characters with sticky trigger fingers. While I’m in the former camp, I also realise I’m likely outnumbered by those in the latter. Cambiamos de protagonistas, situaciones, trama, villano, localización… pero no de esencia, porque esto sigue siendo puro Uncharted. 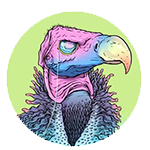 El legado perdido recupera la base jugable y técnica de la cuarta entrega numerada para proponernos una nueva historia al lado de dos protagonistas obligadas a entenderse. Una epopeya aventurera que mantiene la identidad de la serie y la seña de calidad de Naughty Dog para dar a los usuarios de PS4 un videojuego de acción y aventuras muy recomendable. Uncharted tiene que ser esto, y, como dije de la cuarta entrega, no se me ocurre una manera mejor de hacer mejor justo esto. Se dice algo por ahí de hacer lo mismo una y otra vez esperando obtener resultados diferentes; no hay mejor cazatesoros que Naughy Dog, pero toca ir buscando en otros sitios: estas ruinas ya se han explorado lo suficiente. Uncharted como franquicia, es producto de esta sensacional etapa durante la generación pasada de consolas en la que varias nuevas IP nacieron para convertirse casi de manera instantánea en todos unos clásicos del medio. 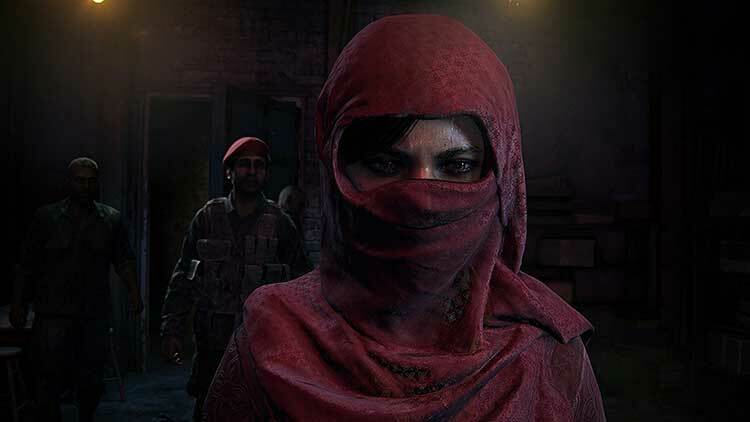 El trabajo de Naughty Dog rápidamente pasó de ser considerado bueno, a algo que muy pocos pueden emular actualmente, por lo que con todo y que The Lost Legacy fue encargado a un equipo interno sin tanta experiencia, sabíamos que el resultado final difícilmente sería una decepción. Uncharted: El Legado Perdido es una buena continuación, aunque peca de continuista. 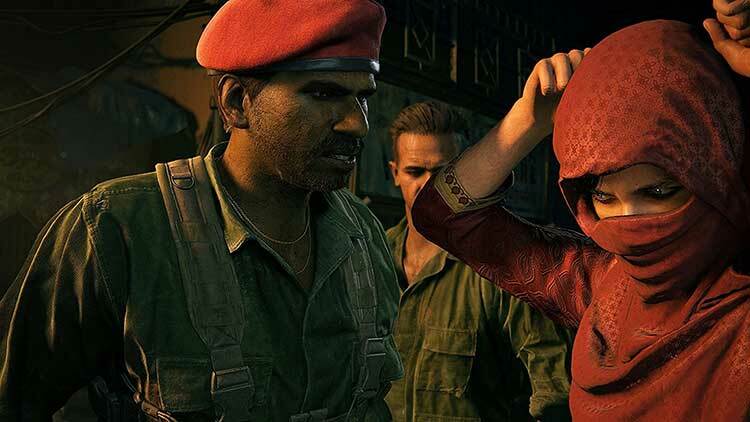 Aprovecha para hacer más hincapié en las novedades que tanto nos sorprendieron en Uncharted 4, pero no hace avanzar la fórmula jugable creada por Naughty Dog lo suficiente. Esto, unido a que sus protagonistas no consiguen estar a la altura de Nathan Drake y compañía, hace que estemos ante un título inferior, aunque sigue siendo muy divertido, bonito y ofrece una relación calidad precio bastante ajustada. Por sí solo, Uncharted: El legado perdido es un grandísimo juego, divertido y espectacular a más no poder, si bien no aporta nada que no estuviera ya en la cuarta entrega, de la que es un continuo déja vu. Uncharted: El Legado Perdido expande, en el sentido literal de la palabra, lo que vivimos hace año y medio en Uncharted 4. 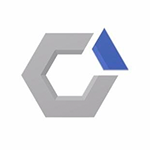 En la piel de Chloe nos adentramos en una aventura que ofrece todo lo que podemos esperar a nivel de plataformas, exploración y tiroteos. No faltan los momentos espectaculares marca de la casa, entornos maravillosos en los que perderse y rompecabezas que solucionar. Uncharted: El legado perdido, como expansión independiente, cumple con creces. Nos ofrece una nueva aventura con grandes momentos, de esos que son señas de identidad de la saga, aunque también tiene un tramo un tanto cuestionable y una sensación de déjà vu comprensible en otros. Audiovisualmente es una delicia, y su gameplay sigue funcionando genial, con pequeños cambios que se agradecen. Si eres fan de Uncharted o de los juegos de aventura podemos decirte que Naughty Dog lo hizo de nuevo; con The Lost Legacy realmente cierran con broche de oro su paso por una franquicia que también merece un descanso y que, por el momento, se despide con otra aventura llena de emociones. Es, en definitiva, una más de esas aventuras que no puedes dejar de probar si tienes un PlayStation 4. Routiniert inszenierte sowie fantastisch aussehende Auskopplung aus Uncharted 4, die alle Stärken des Originals mitnimmt, aber es leider verpasst, den neuen Heldinnen spielmechanisches Profil zu geben. Malgré quelques défauts, The Lost Legacy reste une très belle aventure maîtrisée et à la hauteur de ses aînés, que l'on ne peut que vous conseiller si vous avez un minimum d’appétence pour le genre. Uncharted The Lost Legacy ressemble au dernier tour de chant d'un artiste adulé dont on connaîtrait déjà toutes les chansons par coeur. Peu de surprises à attendre de ce standalone taillé pour le succès, hormis le focus sur les deux héroïnes pas toujours convaincant à nos yeux et des velléités de monde ouvert qui mériteraient d'être appronfondies quand la franchise fera inévitablement son retour. Nos deux aventurières partent dans les confins de l’Inde à la recherche de la défense de Ganesh, trésor de l’empire Hoysala. Avec son monde ouvert et ses décors toujours plus paradisiaques, vous allez voir que cette extension, proposée au prix de 40 euros, vaut largement le détour malgré l’absence de la star de la saga. Sans chercher une seule seconde à voir plus loin que son cahier des charges sur le plan ludique, Uncharted : The Lost Legacy nous emmène quand même dans une aventure largement du niveau des épisodes canoniques, un condensé magnifique, fun, et joliment rythmé de la saga. Avec une différence de taille : le duo Chloe et Nadine, efficace et bien amené. L'une comme l'autre voit son background et sa personnalité s'épaissir sans décevoir et on peut dire que la sauce de leur relation prend bien. Uncharted: O Legado Perdido cumpre na perfeição com o esperado. Shaun Escaryg e Kurt Margenau colocam-nos numa aventura repleta de emoções, envolvidos pela beleza dos vários cenários, elevados pelos detalhes da vegetação e da própria arquitetura indiana, na pele de novas personagens que em nada mancham o legado deixado por Nathan Drake e companhia. Uma experiência única e memorável, tal como seria de esperar de um Uncharted. L'Eredità Perduta doveva essere una semplice espansione. Invece risulta un titolo qualitativamente superiore alla maggior parte di ciò che si trova in commercio, che poco ha da invidiare ai suoi "fratelli" maggiori. Il livello qualitativo dei lavori di Naughty Dog ha ormai raggiunto picchi impensabili, e seppur si parli sempre di titoli fortemente narrativi e "guidati", all'interno del genere i loro lavori sono ormai a dir poco irraggiungibili. L'avventura di Chloe e Nadine dimostra in maniera evidente quanto il mondo di Uncharted possa ancora raccontare molte altre storie anche senza l'iconico personaggio di Nathan Drake. 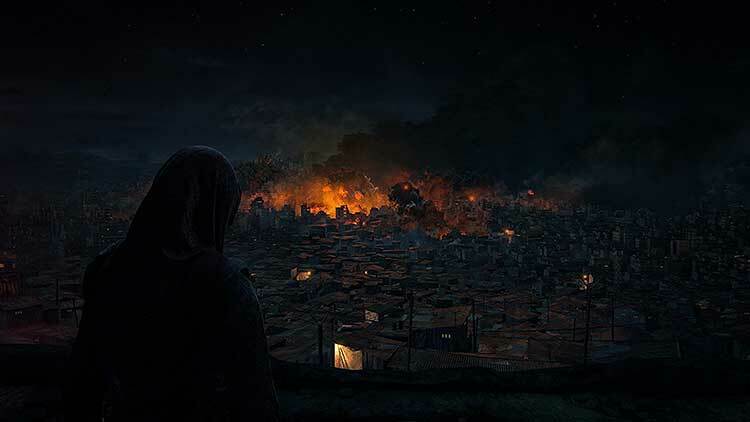 Per questo riuscito spin-off, Naughty Dog ha deciso di non rischiare nulla e di mescolare gli elementi migliori della saga e offrire un punto di vista tutto nuovo, con un personaggio che funziona molto bene e che potrebbe essere approfondito ulteriormente, aprendo magari una nuova fase per la serie. Uncharted: L’Eredità Perduta sta a Uncharted 4 come Blood & Wine sta a The Witcher 3 o come The Old Hunters sta a Bloodborne. Anzi, è probabilmente più di questo. In rapporto al gioco base è un DLC colossale, capace di offrire lo stesso tipo di emozioni, in un formato più concentrato che - paradossalmente, ma forse neanche tanto - le valorizza perfino meglio. The Lost Legacy – это хороший аддон и отменное DLC. А вот как полноценная часть серии она получилось слабой. Игра потрясающе красива и отлично срежиссирована, но она слепо копирует Uncharted 4, не добавляя ничего от себя. Хлоя без труда сменила Нейта, из Надин получился отличный напарник, а The Lost Legacy прекрасно подойдет всем фанатам Uncharted, которые согласны подождать с коренными изменениями до следующего раза. Будет ли этот следующий раз? Надеюсь, что да: лично я уже привык к обилию интересных головоломок. И к госпожам Фрейзер и Росс, конечно, тоже. Uncharted meraklılarının kesinlikle alıp oynaması gereken bir oyun. Grafikleri, hikayesi ve mekanikleri ile bizi bizden alan Kayıp Miras, Nathan'sız da Uncharted oyunu olabileceğinin yaşayan bir kanıtı olmuş. Naughty Dog'a yöneltilen "Başka Uncharted oyunları olacak mı?" sorularına da sürekli açık kapılar bırakması sonucu, Chloe ve Nadine için yeni bir seri olur mu göreceğiz. 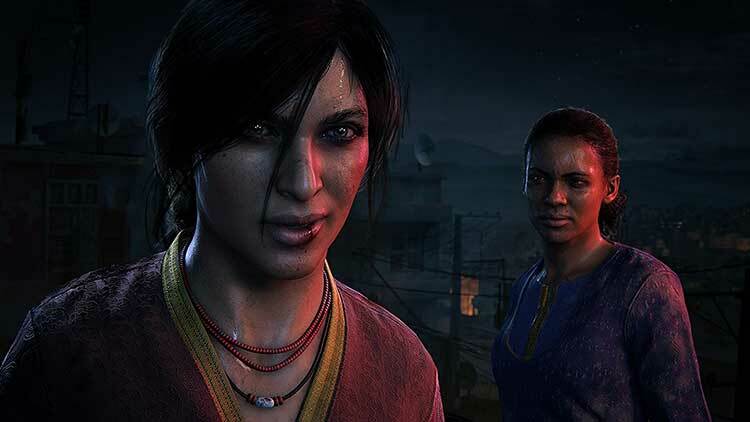 Ondanks de lagere verkoopprijs en de kortere speelduur voelt The Lost Legacy aan als een volwaardige Uncharted. Het acteerwerk is van een hoog niveau, de omgevingen zijn simpelweg prachtig en ik heb een aantal keer mijn hersenen goed moeten kraken op een puzzel. De flow tussen gameplay en verhaal voelt goed aan, maar jammer genoeg blijft Naughty Dog moeite hebben met het neerzetten van een memorabele antagonist. Zoek je een nieuw avontuur waarbij je op schattenjacht mag in India en waarbij je zelfs af en toe het gevoel krijgt de hoofdrol te spelen in een film? Dan is The Lost Legacy wat voor jou. Probeer Nathan Drake uit je hoofd te zetten, want zó goed wordt het nooit. Maar wel heeft Uncharted The Lost Legacy alle typische elementen er in gestopt. En de liefde van Naughty Dog is wel zeker voelbaar. Alleen jammer dat dit gevoel iets te laat wordt overgebracht. 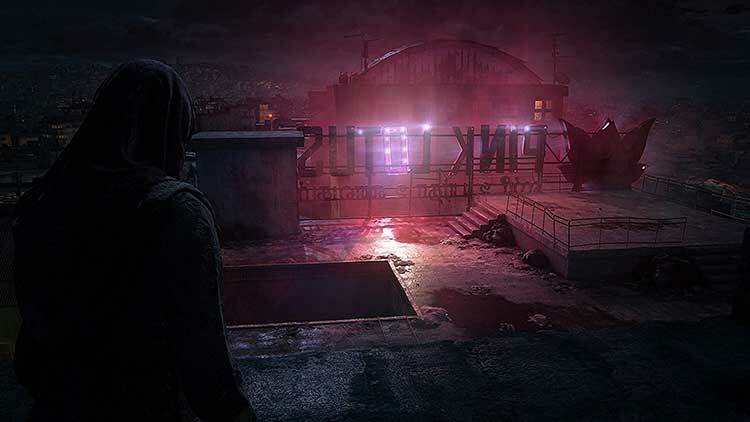 Naughty Dog po raz kolejny udowodniło, że jest jednym z czołowych studiów PlayStation. Z pomysłu na drobne, fabularne DLC wyrosła nam emocjonująca, wciągająca i wbijająca w fotel gra. Do tego, przez cały czas towarzyszy nam klimat poszukiwania skarbu w gęstwinie indyjskiej dżungli i starożytnych ruin. Sekwencje akcji są znakomicie przeplatane z wyzwaniami logicznymi, które zostawili dla nas dawni królowie. Historia Nathana Drake’a definitywnie odeszła w przeszłość, ale – na szczęście – trudno być z tego powodu smutnym. Rozbrajający złodziej zakończył karierę, a jego twórcy w udany sposób zastąpili parę głównych bohaterów serii nowymi postaciami. Jestem spokojny o to, co następnym razem zaserwuje Naughty Dog – szkoda tylko, że pewnie dopiero za kilka lat. W Uncharted prezentujące taki poziom mógłbym grać i parę razy w roku.